It was December 19, 1927. The winter sun rose late. But its golden rays brought warmth and joy to people shivering in the biting cold. At the same time, in the District Jail at Faizabad, Uttar Pradesh, officials were getting ready to put an end to the life of a man. He was a revolutionary. Officials, both high and low, were busy. The Chief Jailer carefully inspected the rope, the sandbags and other things necessary for his execution . He was fully satisfied with the arrangements. Then he called out to his subordinate, "Bring the convict here". The official went with ten soldiers. The door of the cell of the man who was to die opened with a loud, harsh sound. That was the last time the door opened for this man.The brave patriot was waiting for this call. He asked cheerfully, "Is everything ready?" The hero in chains walked upright and with resolve between soldiers who led him to the hangman’s post. Those who were there forgot their positions and prestige and gazed at him with wonder and admiration. Once at the foot of the steps leading to the post, he covered them in two leaps and stood facing the post. When they removed the chains, he put forward his arms, drew the rope towards him and kissed it. He said, "My hands are not soiled with the murder of man. The charge against me is false. God will give me justice".Then he prayed in clear, ringing tones "La ilahi il Allah, Mohammed Ur Rasool Allah".The hangman’s noose came round his neck. The moment the lever was pressed, the plank on which he stood moved quickly and he went down into the pit below. He joined the band of the brave immortal heroes of the land. This hero was Ashfaqulla Khan, the immortal revolutionary. Born in the early part of the twentieth century in Shahjahanpur, Uttar Pradesh, Ashfaqulla was the son of Shafiqulla Khan. In 1921 the clouds of the non-cooperation movement were gathering all over India. Mahatma Gandhi had called on Indians not to pay taxes to the Government or cooperate with the British. This had kindled the fire of freedom in the hearts of all Indians. But at a place called Chauri Chaura people indulged in violence and set ablaze a police station resulting in the death of some policemen. Gandhi became sad on hearing this. It pained him much. So he called off the non-cooperation movement in February, 1922. The youth of the country were greatly disappointed and dejected on account of this. Ashfaqulla was one such dejected youth. The country should become free as early as possible – this was his yearning and so he joined the revolutionaries. It was then that he decided to win the friendship of Ramaprasad, the revolutionary of Shahjahanpur. 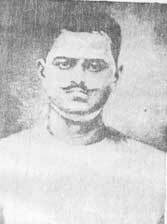 Pandit Ram Prasad Bismil was already a famous revolutionary. Ashfaq had one great difficulty in winning the friendship of Ramaprasad. He was a member of the Arya Samaj. He was eager to explain the greatness of the Hindu religion to those belonging to other faiths. He was eager to take back to the Hindu fold those who wished to return. He had almost taken a vow to do this. Ashfaq was a devout Muslim. But his religion did not come in the way of his attempt to win the friendship of Ramaprasad. Though initially Ashfaq met with some resistance from Ramprasad, eventually his relentless pursuit to strike up a friendship with Bismil bore fruit and they became friends. They ate and lived the revolutionary lives together. In the end both became martyrs on the same day but in different jails. The young revolutionaries wanted to make use of revolver, bombs and other weapons to fight the British. Kashi (Varanasi) was the centre of their activities. They formed the Hindustan Republican Association. Their main objective was to win freedom for the country through armed revolution. This Association published a manifesto called ‘Krantikari’ in 1925, spelling out its aims and objectives. The manifesto said it was wrong for one man to become rich by making another man work hard; it was also wrong for one man to be the master of another. The Association wanted to put an end to such things. 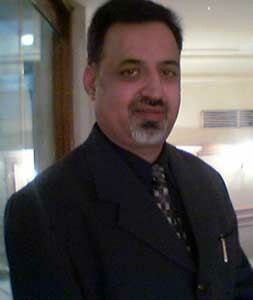 Ramaprasad became the chief organiser of the Shahjahnpur wing of the Association. To meet their financial needs Ramaprasad and his assosiates looted some villages. Ashfaq took part in these activities with his brother’s licensed rifle.But the money they got by this means was not enough for their activities. 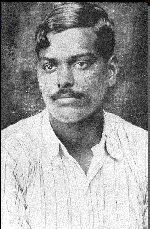 The idea of the Kakori train robbery was conceived in the mind of Ramaprasad while travelling by train from Shahjahanpur to Lucknow. At every station he noticed moneybags being taken into the guard’s van and being dropped into an iron safe. At Lucknow, he observed that there were no special security arrangements. He ran up and noted down the time and number of the train from the time table. He calculated that the money would amount to at least ten thousand rupees. He decided not to miss this chance. This was the beginning of the famous train dacoity at Kakori. At a meeting with revolutionaries from Kashi, Kanpur, Lucknow and Agra, Ramaprasad explained his plans to them . He said, "If we loot the money belonging to the Government, we will get enough for our activities. Moreover, we will not have to harm our own people for money. The task is difficult. It needs to be done with great care. But our efforts will bring excellent rewards. The government also will come to know that the revolutionaries do not mealy talk but act".The members liked his idea. Ashfaq listened silently. From the day he had heard it from Ramaprasad, he had thought about it thoroughly. So he got up and said, "Friends, I consider it a hasty step. It may be a good plan in some ways. But let us think of our strength and the strength of the Government. In an ordinary dacoity, much money is not involved. Besides, the Government will treat it as one of the many usual occurrences. So we shall have to face only what the police normally does in such cases. It will be a different tale when he meddles with money belonging to Government. The entire government machinery will be used to trace and crush us. In my opinion we cannot escape detection and punishment. Our party is not strong enough. Let us drop this plan". But the revolutionaries were caught up in a flood of enthusiasm; they were not prepared to listen to sense. After debating the plan for a long time they decided to go ahead and entrusted the task to Ramaprasad. At the outset he sounded a word of caution. He said, "Friends, we should not fire at any one unless they fire at us. 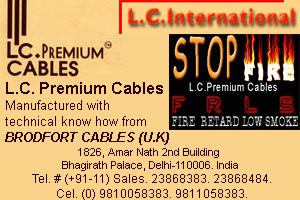 As far as possible let us do this deed without bloodshed". The meeting broke up.